A century after he graduated from UGA, Alfred Blalock is revered in the medical community for his life-saving innovations. This is part of a series called Georgia Groundbreakers, that celebrates innovative and visionary faculty, students, alumni and leaders throughout the history of the University of Georgia — and their profound, enduring impact on our state, our nation and the world. The year was 1925, and Alfred Blalock was already a failure at age 26. The born-and-raised Georgian earned a bachelor’s degree from the University of Georgia in 1918, then a medical doctorate from Johns Hopkins University four years later. But he didn’t get the surgical residency he coveted at Hopkins; he ended up interning in urology instead. Then came an assistant residency in general surgery—but Blalock didn’t stand out enough for his supervisors to want him back the next year. This wasn’t part of the plan. He went to Hopkins, for goodness’ sake. When he was offered a chance to become Vanderbilt University Hospital’s first surgical resident. Blalock jumped at the opportunity to redeem himself. But then he got stuck in an experimental laboratory instead of the operating room. In time, though, Blalock would find the lab was exactly where he needed to be. Today, a century after he graduated from UGA, Blalock is revered in the medical community for his life-saving innovations. Blalock, who died in 1964, was featured in a 2003 PBS documentary and a 2004 HBO film, “Something the Lord Made,” starring Alan Rickman. “Blalock’s life was one of dedication and commitment to patient care, teaching, and research. His ability to go to the laboratory and investigate the most profound medical problems was legendary,” wrote Luis H. Toledo-Pereyra, a medical historian at Western Michigan University and emeritus editor of the Journal of Investigative Surgery. Moved by the devastation of World War I, Blalock began experiments in his Vanderbilt lab about the effects of traumatic injuries and blood loss. These experiments led him to a life-saving conclusion: The men who went into shock on the battlefield weren’t dying from a virus—the commonly held belief at the time. They were going into shock because they lost too much blood. His finding “led to the general use of transfusions and plasma infusion, which had been used sparingly until then,” according to Blalock’s 1964 obituary in The New York Times. It proved instrumental to minimizing lives lost during World War II. Blalock’s lessons learned on how to stop the bleeding continue to be relevant. Learn more about the outstanding UGA men and women in the Georgia Groundbreakers series. His years at Vanderbilt didn’t just give Blalock a chance to do research and grow as a scientist, though; the university also introduced him to Vivien Thomas. An African-American lab technician, Thomas played a key role in helping discover the cause of shock and would later become Blalock’s trusted adviser during surgeries due to his technical skills in the operating room. In fact, Blalock was so reliant on Thomas that when he was offered the position of surgeon-in-chief and director of surgery at Johns Hopkins, he demanded a spot for Thomas as well. It was back at Hopkins in 1944 where Blalock made his next major contribution to medicine, with the help of Thomas and physician Helen Taussig. The three made an oddly progressive group in pre-civil rights era America: the white male surgeon, his African-American research assistant, and a female pediatric cardiologist. Dr. Alfred Blalock, 1950, by Yousuf Karsh. This photo was taken to commemorate the 1,000th “blue baby” operation. But the trio were the first to determine what caused the deadly heart defect that led to blue baby syndrome, a condition that prevents adequate blood flow from reaching body parts and leaves infants with a bluish-purple cast to their lips and extremities. Blalock, Thomas and Taussig saw how the condition–officially known as “tetralogy of Fallot”–could potentially be fixed. But more importantly, they were the first to be brave enough to tackle the problem through surgery. “Dr. Blalock was both a very skillfull (sic) and a very careful surgeon,” Taussig would later write in a paper published by the Proceedings of the American Philosophical Society. “He took two years … to develop an operation which he felt was safe to try on a child provided I felt certain that the operation was indicated.” She did. 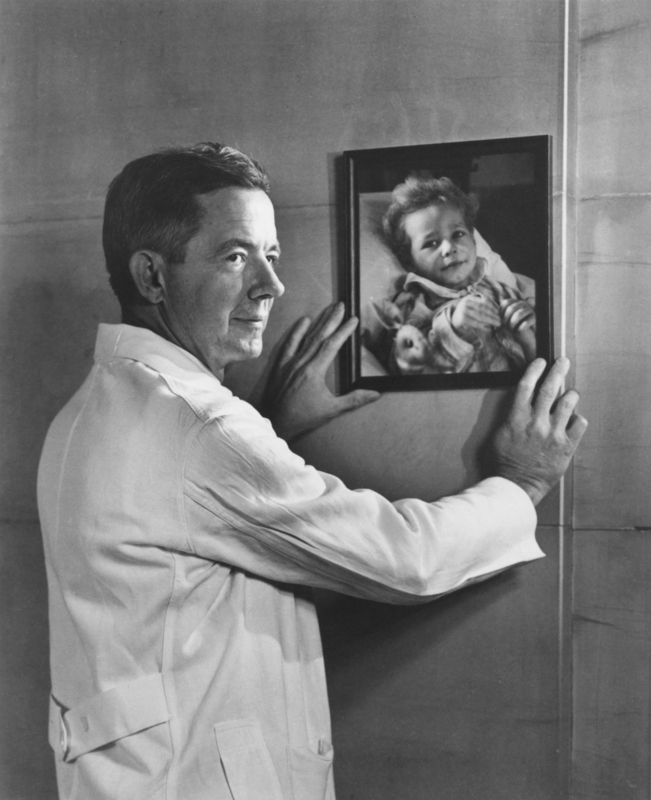 On the table that historical day was Eileen Saxon, a 15-month-old child whom Blalock described in his surgical notes as “undernourished” and “very small.” As he scrubbed in, he called for Thomas, who would stand behind Blalock for the duration of the operation, offering technical guidance. The knowledge that surgery might kill the girl weighed heavily on all in the OR, but without it, she’d surely die anyway. Blalock made the incision, clipped the left pulmonary artery and connected it to the subclavian artery. Blood began to flow, flooding little Eileen’s limbs and turning them pink. The inaugural operation to untangle a child’s malformed heart was the first of countless procedures Blalock and Thomas would perform together. 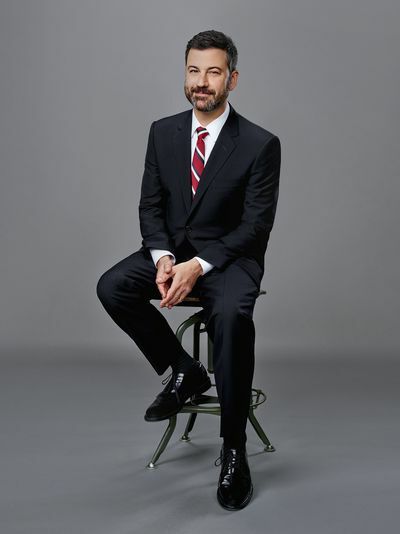 Almost three-quarters of a century later, comedian Jimmy Kimmel stood on the stage of his late-night show blinking back tears as he told the audience that his newborn son was rushed into emergency surgery shortly after delivery. “He appeared to be a healthy baby until about three hours after he was born,” Kimmel said, his voice cracking. Little William “Billy” Kimmel had tetralogy of Fallot, the potentially deadly heart defect that once killed so many children and continues to affect approximately one in every 2,500 children born in the United States, according to the Centers for Disease Control and Prevention. After the “longest three hours” of Kimmel’s life, Billy was out and stable. Six days later, he went home. Like thousands of other babies born in the last 70-plus years, Billy’s story had a happy ending, one that would’ve been impossible without the medical expertise of the children’s hospital cardiac experts … and the pioneer of life-saving techniques, UGA graduate Alfred Blalock.